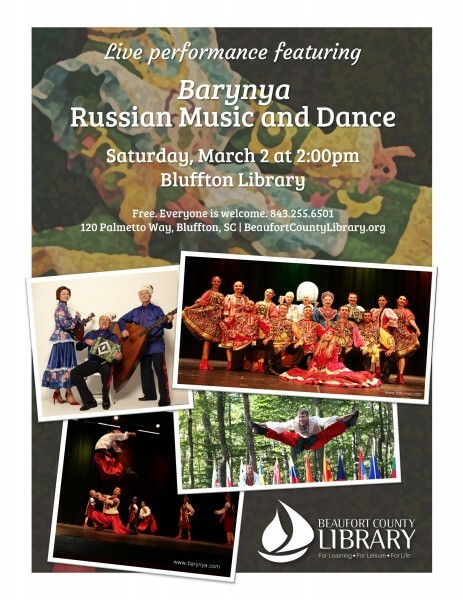 Join us for the Barynya Russian Music and Dance performance, Sat., Mar. 2, 2 – 4 p.m. Free and open to the public. (843) 255-6501 or beaufortcountylibrary.org.